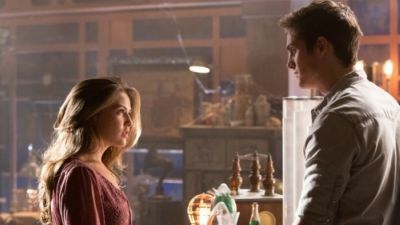 The Mikaelsons find themselves out of options as they face the all-powerful and un-killable entity known as The Hollow. 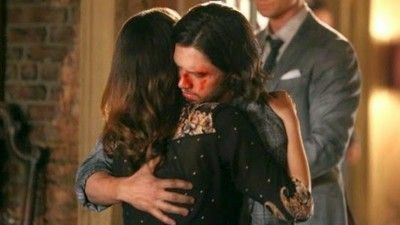 With the life of Hope at stake, Vincent proposes a final, desperate plan – one that will force Klaus, Elijah, Hayley, Rebekah and Freya to make the greatest sacrifice their family has ever endured. Season Finale. 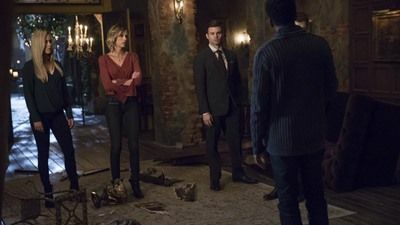 After months of thwarting off dangerous threats and deadly attacks, the Mikaelson siblings finally come face to face with the one person that could lead to their ultimate demise. 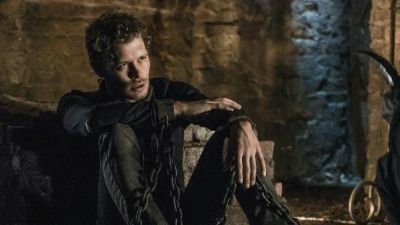 With the stakes higher than ever and the compound overrun by an army of his oldest sworn enemies, Klaus is put on trial for centuries of atrocities he’s committed. Meanwhile, Marcel, who has been spiraling out of control following an act of betrayal by those closest to him, is stunned by the unexpected arrival of someone from his past. 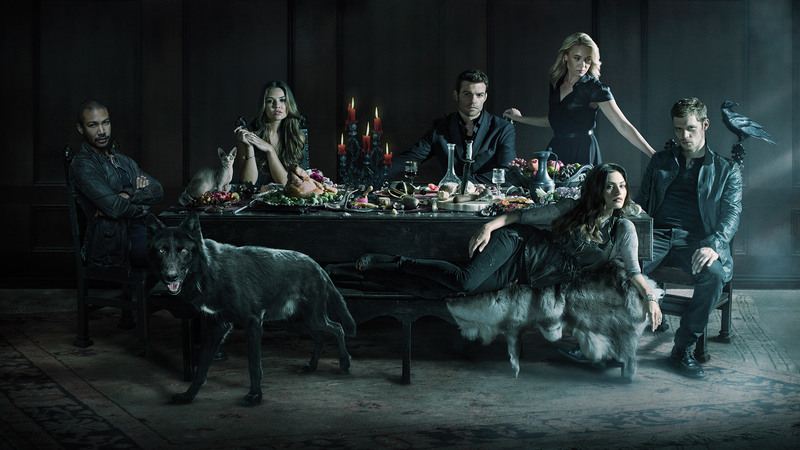 Finally, Elijah, Freya and Kol frantically search for a way to save their family before it’s too late. 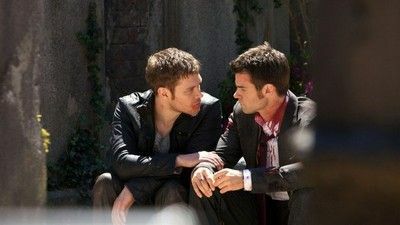 Klaus and Elijah enact a plan to collect the sacred stones needed by Genevieve in order to forever change the fates of Hayley and the werewolf community. 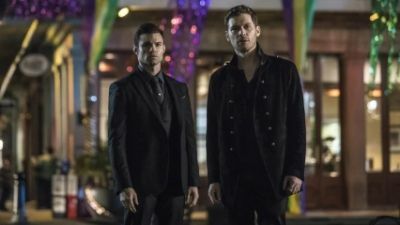 Realizing that Klaus’ plan will lead to the extermination of all French Quarter vampires, Marcel rallies an army determined to take down the Mikaelsons and regain control of the city. Davina warns Josh to leave town as she is forced to make a fateful decision that will turn the tide of war. Meanwhile, Francesca threatens Cami, who attempts to decipher a code that results in a surprising revelation among the city’s factions. More dangerous than ever, Vincent remains one step ahead after joining forces with a powerful figure from his past. As the threat to Hope’s life grows stronger, Klaus realizes he has no choice but to place his trust in his siblings to ensure she remains protected. Meanwhile, after being presented with an enticing proposition, Kaleb is forced to make a difficult life or death decision, and Elijah finds himself in the fight of his life after an unexpected visitor arrives at the safe house. At the bayou, Hayley and Jackson continue to prepare for the unification ritual, but things quickly go awry when they become pawns in Vincent’s dangerous plan. 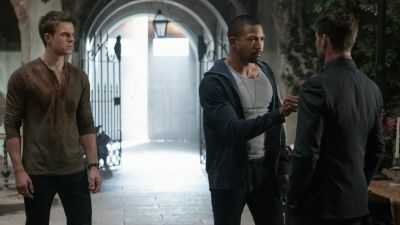 After months of being holed up inside his compound, Klaus enlists the help of Elijah and Marcel in plotting his revenge against the Guerrera werewolves, and vows to take down anyone who poses a threat to baby Hope’s existence. 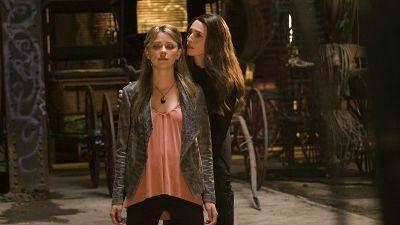 Elijah watches helplessly as Hayley spirals downward while mourning the loss of her daughter and struggling to adapt to her new hybrid status. Exiled by the Guerrera werewolves, who now control the French Quarter, Marcel is still reeling over the destruction of his vampire family, and attempts to rebuild his home with the help of Josh. Elsewhere, Cami, who is attempting to regain some normalcy in her life, seeks comfort in a surprising place. Last, Davina continues her plan to use Mikael against Klaus, but gets sidetracked when she meets the mysterious, yet charming Kaleb, who holds a few secrets of his own. 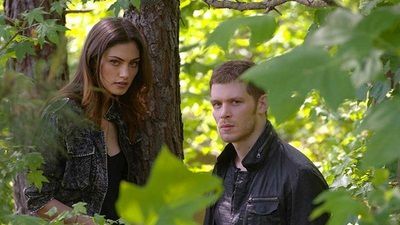 Despite Klaus’ rage, Elijah is determined to protect Rebekah while the three of them are trapped in the City of the Dead cemetery by a witch’s boundary spell. 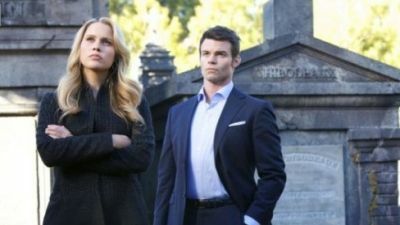 Klaus and Rebekah trade bitter accusations until Elijah steps in to reveal a long-held secret from the family’s past. Meanwhile, Marcel races to free Rebekah, ultimately finding himself forced to make a deal with Genevieve. Finally, Rebekah and Hayley connect over their shared concern for Hayley’s unborn baby. 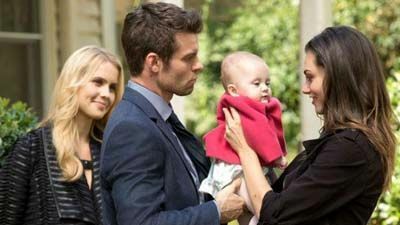 When Rebekah notices an unusual change in Elijah’s behavior, she asks Klaus and Hayley to meet her at their safe house, reuniting them with baby Hope. After reliving memories of being the odd man out, Kaleb opens up to Davina about his resentment towards his siblings and sheds some light on a spell he created in 1914. Meanwhile, when Cami discovers Esther’s plan will put her life in danger, she demands answers from Vincent, who remains steadfast in his convictions. 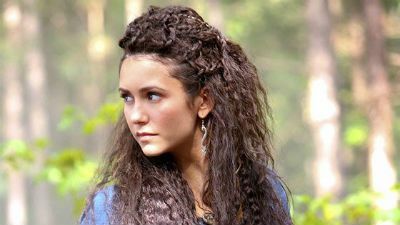 Elsewhere, Esther makes an unlikely alliance that could prove dangerous for Klaus, and Hayley makes a decision that could change her relationship with Elijah forever. 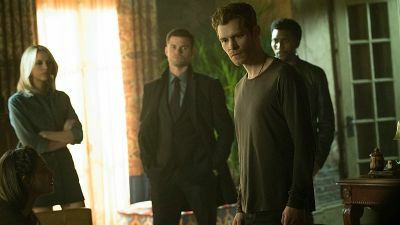 Lastly, while Elijah continues to struggle with the lingering effects of being captured, Rebekah and Klaus devise a plan to take their mother down once and for all. When Davina becomes violently ill and the repercussions soon begin to affect the entire French Quarter, Marcel, Klaus, Elijah and Rebekah rush to find out what is going on. Sophie approaches the others with some startling information about the Harvest Festival and presents a drastic plan to save Davina. Elsewhere, Hayley is racked with guilt as she comes clean to Elijah about her role in Sophie’s plan. Last, a sequence of unforeseen events sends shockwaves through the French Quarter. 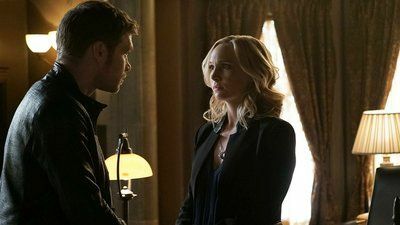 In a series of flashbacks to 1919, Klaus opens up to Cami and reveals details of the devastating secret Rebekah and Marcel were trying to keep from him. Elijah forms an unlikely alliance with Monique and asks for her help in locating Sabine. 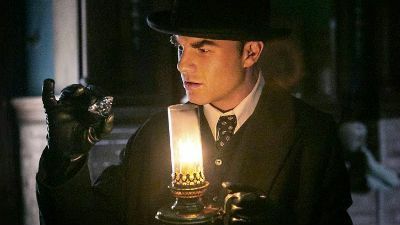 Elsewhere, Thierry is reluctant to get involved when Marcel and Rebekah approach him with a plan to take down the witches. Meanwhile, in the bayou, Hayley is at her wits’ end and holds Sabine hostage in an attempt to get information that will reverse the curse on Phoebe’s werewolf clan. Fed up with her antics, Klaus becomes agitated and demands that Esther release Elijah, whom she has captured. However, Esther reveals a few dark secrets from Klaus’ past in an attempt to make him an offer he can’t refuse. 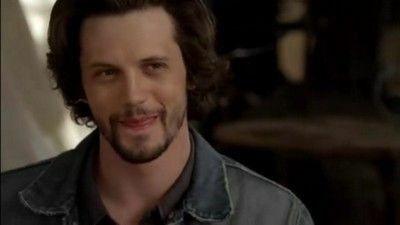 Meanwhile, Oliver ends up in a dangerous situation, prompting Hayley to reconnect with Jackson, who has been living a new life out in the bayou. Elsewhere, Cami, who still believes baby Hope’s death was her fault, teams up with Marcel and Gia after she becomes suspicious of her faculty advisor Vincent. 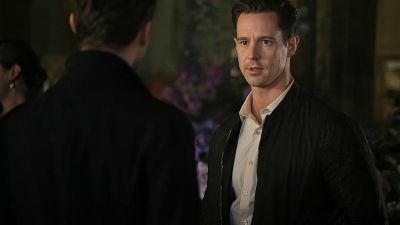 Lastly, in a surprising turn of events, Klaus comes face-to-face with a visitor from his past. 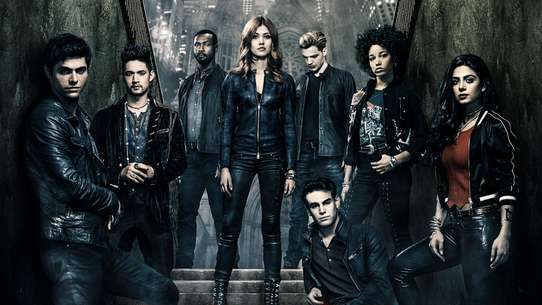 In the wake of a ruthless plan that has left their family shattered, Klaus, Elijah and Freya desperately search for a way to take down Lucien once and for all. However, their efforts are put on hold following an urgent plea for help from Kol and Marcel. 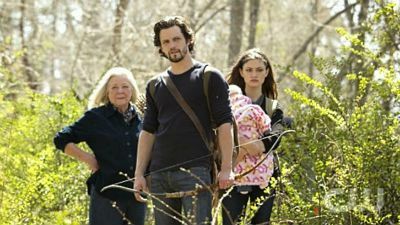 At Klaus’ insistence, Freya and Elijah reluctantly stay behind to offer their help, while Klaus and Hayley head to the bayou after uncovering Lucien’s latest plan. Once there, an unexpected showdown between Klaus and Lucien forces Freya to take matters into her own hands, setting off a chain of events that will change all of their lives forever. Angered by recent events involving the safety of his unborn baby, Klaus demands answers from Sophie, believing she was involved. 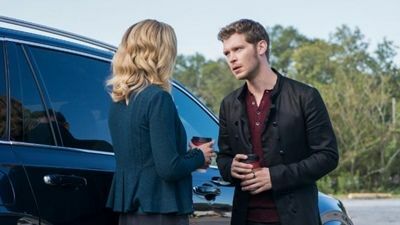 Sophie reveals to Klaus and Rebekah a troubling secret from her past. Meanwhile, Marcel asks Klaus to accompany him to the bayou after gruesome remains are discovered, while Rebekah, Sophie and Hayley set off on a mission of their own. Davina confides in an unexpected ally and reveals shocking information about the witches, ultimately leading to a disturbing revelation.